For those of you who are unfamiliar with the US Army Net Zero Program, it is an environmentally friendly program that was designed in 2011 with an initial goal to strive for 25-Net Zero Installations by 2030. The term Net Zero refers to managing the existing Federal Energy, Water and Waste programs and turning them into sustainable practices for the future. The Waste Programs approach is to reduce, reuse and recover waste stream to ultimately convert them to resource value so there is zero landfill throughout the year. By following these guidelines, the Army’s goal is to eliminate the need for landfills, protect human health, optimize the use of limited resources and keep the environment clean. You may be wondering why I am writing about this. The reason is because SEM is here to help! Although we have grown to become a society where most of our information is stored on electronic media, we still prefer to print out documents. It might be because you prefer to have a hard copy or it might be because they are training manuals. Either way, in a classified environment once you are done with these documents they must be destroyed in a way that meets NSA Guidelines……turning the paper into a dust like particle. Believe it or not, most Installations are producing over 100,000 lbs of Classified Paper per year!! If this confetti like particle could be recycled then there would be no issues, however, since the small particle has little recycling value and it is very messy, most recycling companies reject this shredded paper. As such……. it is landfill bound! 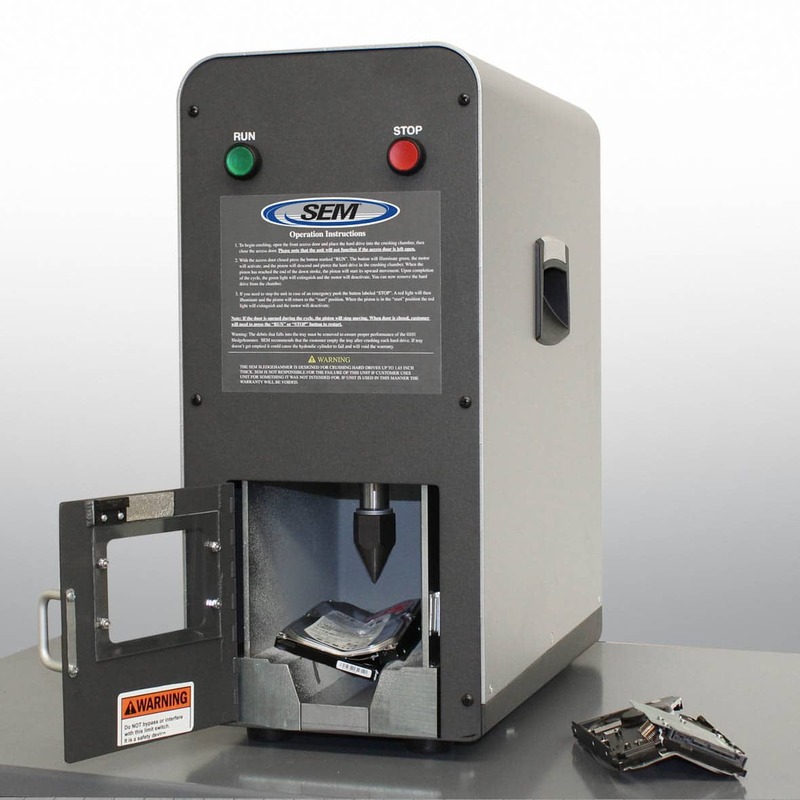 Now enter SEM Briquetting Systems! A briquetting system is designed to take this dust like particle and pack it into a small cylindrical “briquette sample” which creates a 9:1 Volume Reduction! Such a large volume reduction can truly save you money in the long run with compactor/dumpster hauls and drop-offs. More importantly (for the environment), once this particle is turned into a briquette, it is not only easier to handle but it can also be reused. We have found that recyclers have multiple uses for these briquette samples such as fillers and they can even be burned to create energy! If your facility is producing over a hundred thousand lbs of paper throughout the course of the year, you may want to seriously consider a Post Wide Centralized SEM Disintegrator System with Briquettor! Don’t hesitate, feel free to contact us immediately and find out which system is best for your application: info@semshred.com!